Day visit to Jhirna Zone is through Dhela Gate which is 20 Kms from Ramnagar. The zone is mainly noted for its bamboo vegetation and wonderful bird watching experiences. The zone also has a good population of sloth bear and wild elephants. 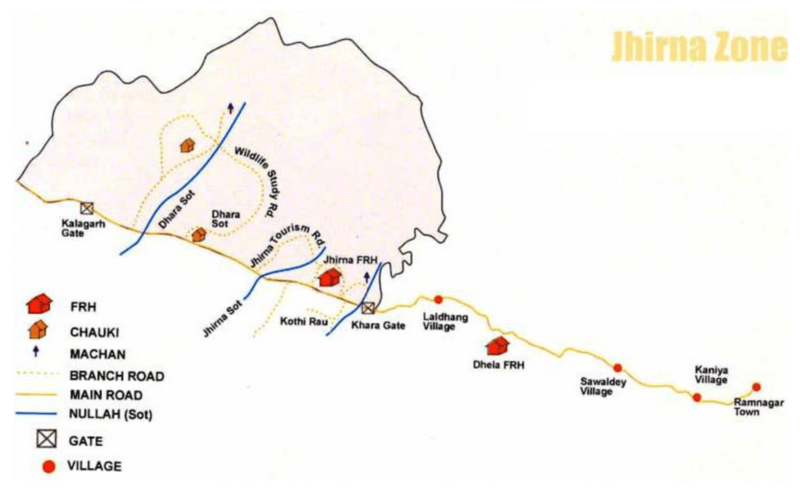 Jhirna zone is open round the year.